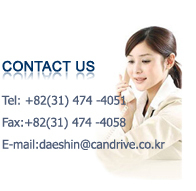 If you want to get more information, please contact us. DC motors include shunt wound, serial wound and compound motors, as well as permanent magnet excited motors, with each version offering specific benefits. DC motors are generally used in Wind Turbine Generator Systems as blade adjustment or pitch drives. They are, however, also used as winding drives in the textile industry. Asynchronous three-phase motors can be found everywhere where a constant performance is required. Due to their robust design, they can also be found in places where drives are subjected to more extreme mechanical stresses. For instance as vibration drives in the concrete industry. This type of motor is also preferably used for constant speed applications. For driving pumps, conveyor belts or also fans. Irrespective of their application, asynchronous three-phase motors offer a cost-effective solution. Provided there are no special size requirements. Three-phase motors, designed as asynchronous servomotors, are as robust as purely asynchronous models. This type of motor is also used as a travelling mechanism for, i.e. electrically operated stacker trucks. Synchronous drives offer a particular high efficiency, making them especially interesting for continuous operation applications. The frequency accurate speed ensures for instance that the drive axles of conveyor belts are always synchronized. An advantage that is also the reason why synchronous drives are used in the beverage industry.